NEW DELHI: Cyber law experts say while there is a need to tighten existing regulations, social media sites should not be given the right to determine the definition of defamatory content on their networks. They also say that there should be no move towards censorship of the Internet. In the US, social media websites are defined as 'providers of pipe' and these providers of a pipe have not been made responsible for what flows through the pipe. But in India, these providers of pipe are not liable for what flows in their pipe only if they exercise due diligence and comply with rules and regulations. Existing rules mandate that social media companies, once they are informed or have actual knowledge that defamatory content is on their network, must act within 36 hours and remove the content. "It is only a paper tiger. We need to strengthen the law and I don't think social network sites should be given the right to determine the adequacy or the completeness of defamation of the said content on their networks," said Pawan Duggal, a cyber law expert and Supreme Court advocate. At the same time, Duggal said any government move on the issue could be misused and any attempt for censorship should be resisted. "Yes this could be used as a platform for regulation of any activity, media or otherwise, in the electronic format or ecosystem," he said. "If it goes in the direction of where it is headed, it could potentially raise a large number of legal issues and challenges," he added. Rules on policing the Internet vary across the world. 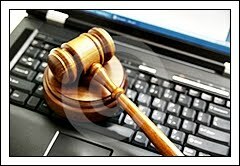 China maintains a strict vigil on Internet content. Recently, Britain had also considered moves to curb on social media sites to control the recent riots but backed off after facing stringent criticism. Some estimates say there are 10 core internet users in India now and it is expected to go up to 30 crores in the next three to four years. India ranks third after the United States and China on internet users.